One of 73 California stations served by Amtrak, the Merced Amtrak Station is on the San Joaquin line. As usual it’s in Paper 53. 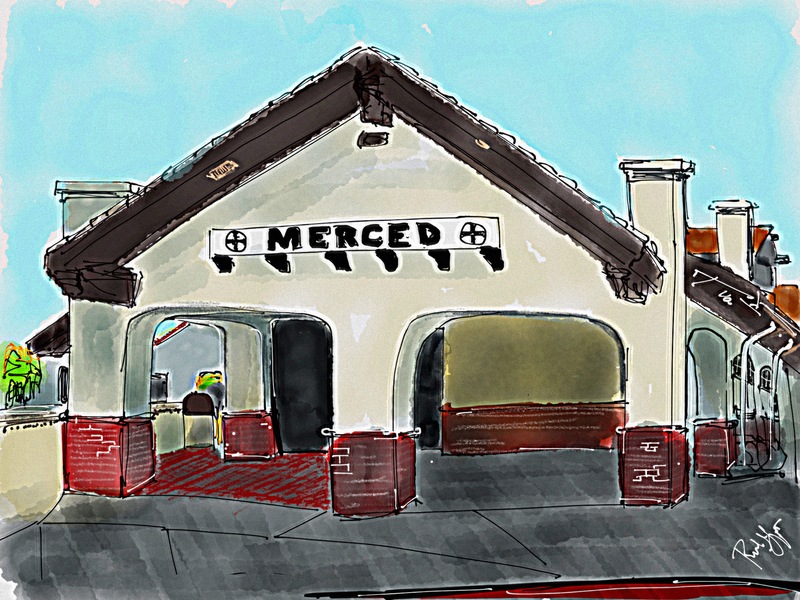 This entry was posted in Digital Artwork, iPad Art, Sketches and tagged Fifty Three Paper, Merced Amtrak Station, Merced California, San Joaquin line by portfoliolongo.com. Bookmark the permalink.